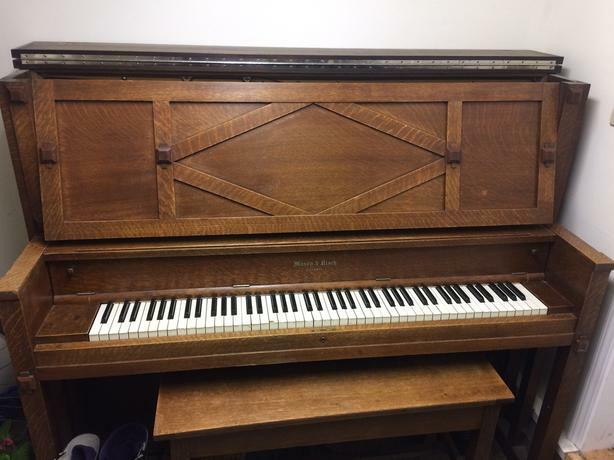 1918 Solid Oak Mason & Risch upright piano! From the hight of their era, before plywood was introduced around 1950. A beautiful piano, for free.